Collecting of McCoy pottery has literally exploded over the last few years, such that demand is at an all time high. Why? In most cases, more than one answer applies…. 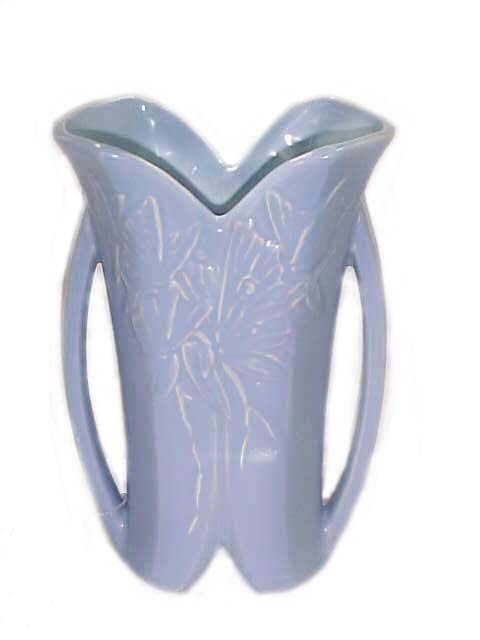 McCoy has always been, and will likely remain, one of the most affordable potteries. This allows a larger group to collect. Nelson McCoy Pottery produced more pieces of pottery than all of their American competitors combined from the '40s to the '60s. There's simply more to find. A collector will always see some pieces for sale. This availability makes it easy to put together a collection of magnitude in a relatively short time. The style and designs of Nelson McCoy are so diverse that it attracts a wide range of interests. Blended art pottery glazes of the '20s and '30s, a rainbow of pastel matte finishes of the '40s, brilliant colors of the '50s and '60s, animal figures and flower shapes, and simple, clean lines of '70s pieces mean that if you like pottery, there is a style of McCoy you can enjoy. Martha Stewart has highlighted McCoy pottery on a couple of her TV shows and ran a lengthy article in her magazine. The background of her TV shows regularly displays a McCoy mixing bowl or a floral display in a McCoy vase. It's nice having her as a fellow collector; she's helped introduce McCoy to a new generation of collectors. Baby Boomers grew up when McCoy production was at its highest level, and now collect things from their childhood. The best place to start is with one of the references available. Be sure to note when values were last updated and adjust accordingly [a good rule of thumb with price guides is 10% higher per year out of date]. Prices vary throughout the country depending on local demand. The crispness of the piece out of the mold should always be considered when valuing McCoy. As the mold for a particular piece was used over and over, the sharpness of the pattern in the later pieces starts to fade. Consider how rare a piece is to find. Several McCoy pieces were hand decorated over the glaze with a paint described as 'cold paint'; it was not very durable, and pieces are commonly found with much or all of the paint missing. A piece with all of the original cold paint is definitely worth more than one with no paint at all. Another problem presents itself when a collector finds a piece with no mark. Is it McCoy? Use reference books. They don't contain everything about what pieces, colors, etc. McCoy made. That's part of the fun and enjoyment of collecting it. 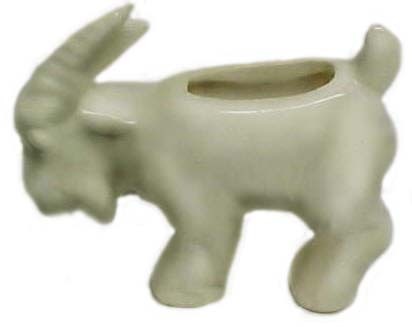 Confusion exists between McCoy pottery, made by Nelson McCoy Pottery and another company, Brush-McCoy. In 1910, Nelson McCoy started the Nelson McCoy Sanitary Stoneware Company in Roseville, Ohio with the help of his father, J. W. McCoy. They were in direct competition with Brush-McCoy, which made stoneware churns, jars, and jugs. J. W. was a partner in the Brush-McCoy company until he sold out his share in 1925; the company became Brush Pottery. 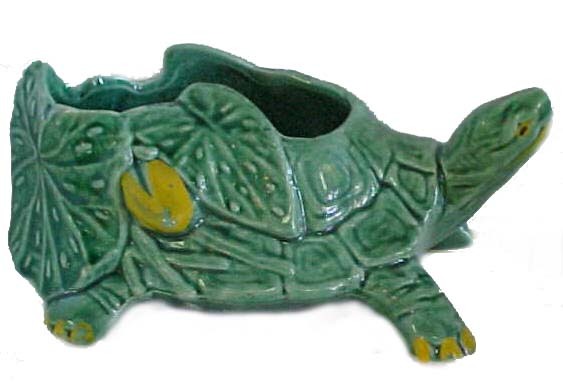 In 1933, Nelson McCoy Sanitary Stoneware became Nelson McCoy Pottery. By the end of the 50s, they were shipping millions of pieces per year. In 1967, the company was sold to Mount Clemens Pottery Company; some pieces from this era were marked 'MCP'. The company was sold in 1974 to Lancaster Colony Corporation; after significant losses, Lancaster sold the company to Designer Accents, who found no success and closed the doors around 1990. The Blended Glaze era spanned through several years from the '20s through the '30s. 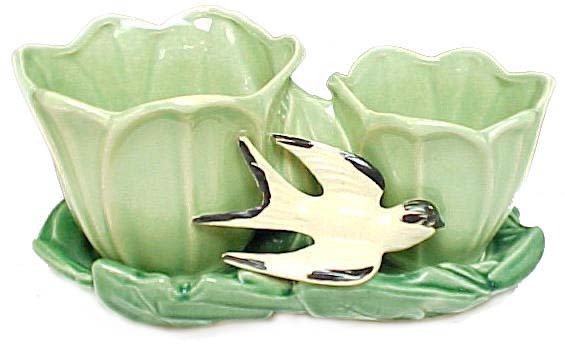 Standard glazes were a matte white, a dark matte green and a combination of a brown and green color. This last color glaze was offered in a very dull matte and a somewhat glossy. 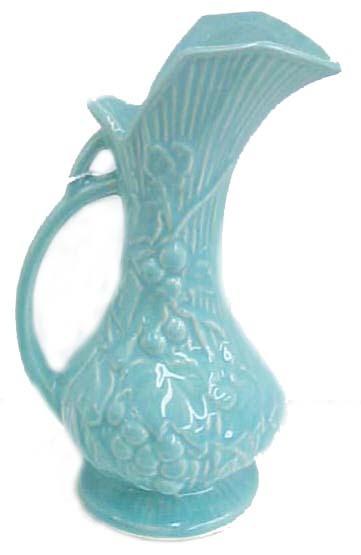 Some were sold to lesser extent in matte blues, gloss and matte yellows; some continued into the early '40s, offered in the pastel glazes from that period. Many pieces during the Blended Glaze era were sold in Onyx finish. (The same glaze was sold by another company, Brush-McCoy, at approximately the same time period, which can be confusing). If there is a number on the bottom it is Brush-McCoy; if no marks, the only way you can tell is by the shape of the piece, referencing the Nelson McCoy pottery book information vs. the Brush-McCoy references. The 'Stretch Animals' are another popular collection of Nelson McCoy. From the late '30s to the very early part of the '40s, these pieces were actually part of a product group called "Novelty Flower Holders and Planters". However, collectors have labeled them with the 'stretch' designation and they will no doubt be always referenced as such. None of these pieces are marked. There are seven shapes in the series, including Pony (Horse), Goat (Standing), Butting or Ramming Goat, Dog, Hound (Dachshund), Large Lion, and Small Lion.